A late model cruiser can be hard to come by and this 2015 model has completed only 104 hours. Twin Volvo diesels provide a cruising speed of 20 knots and in-excess of 30 knots when you feel like leaving it all behind. The bow thruster makes handling a breeze and Garmin electronics will get you to where you need to be. 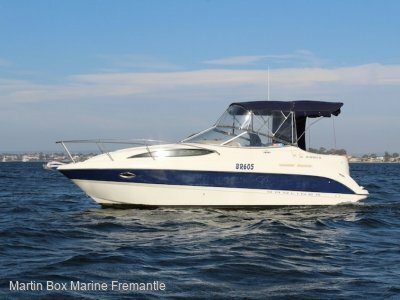 With a very large cockpit and full camper covers, this vessel is ideal for extended stays at the islands and five adults can be accommodated in the two separate cabins and convertible dinette. The galley is complete with a gas stove, refrigerator and hot and cold water to the concealed sink. 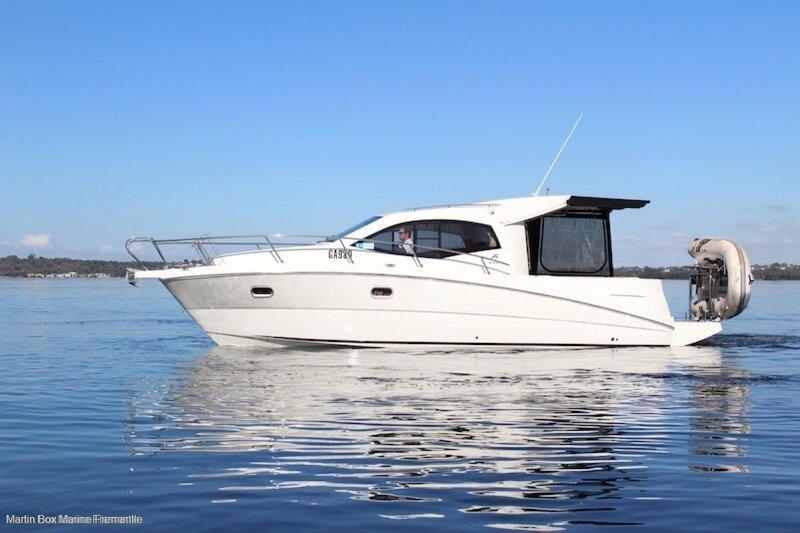 This quality built craft has many appealing features including below deck storage, walk-around decks and a saloon sunroof. Value for money is obvious on first inspection. 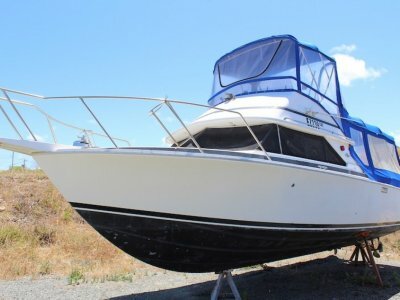 Thought about selling your boat? Whether your first or your fifth boat, we are here to make your buying or selling experience an easy and professional one. 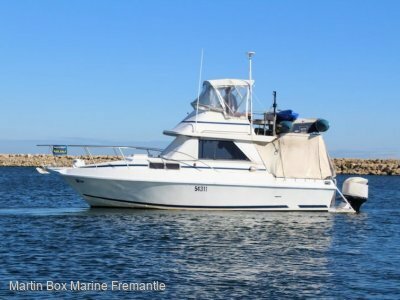 Bring your vessel to us or sell it from it's home berth. 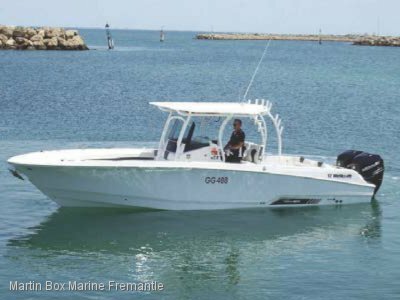 We are a Western Australian BIA member, Club Marine Insurance and Nautilus Insurance agents and pride ourselves on repeat business. Whether you are buying or selling, we are here to assist and look forward to hearing from you. Full cockpit camper covers with extendable shade screen. Two doubles and one single. Functional galley with draws and storage, single burner gas stove and refrigeration. Garmin GPS/Sounder with Garmin VHF radio. Twin Volvo diesels provide a cruising speed of 20 knots ind in-excess of 30 knots when you feel like leaving it all behind.